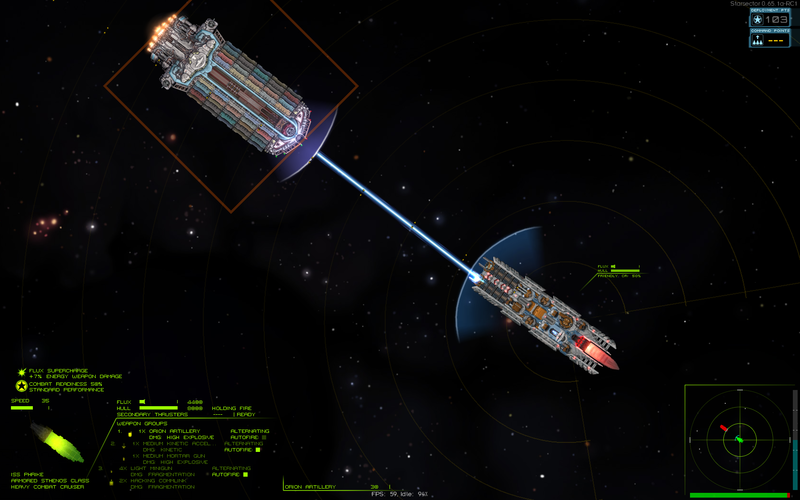 The current RC5 patch solved some issues, but there is still an outstanding issue with spawning allied ship parts. Changed storage method of Twig Data in the combat engine so that the combat engine may be closed after combat. Twigs are now loaded without Java code at all. You now use a CSV file to point to the twig file(s) containing your twig ship(s). **Twig loading is now done with TwigNodeLibrary class with new JSON schema by Silent Stormpt** this will break old twig library users. Added relative position type, there are now two types of positioning available. Relative and Vector. Relative uses a weapon, Vector uses a Vector2f and facing angle. Added two AI's: Slave AI and No AI. This mod allows people to build utterly...utterly enormous ships and get around the bounds issues that exist. Also hoping for the addition of a CollisionAPI by Alex eventually to help with a few certain scenarios better. Pen or sword? The shield is mightiest. Now uses a JSON file for extra metadata used for ship instancing and behavior. This is getting much closer to becoming a utility mod, this provided download is to just demonstrate the concept and how various components work. It is now set up such that the Sprite displayed in the refit and campaign fleet should look the same instead of just the part. As before there are two damage models. The first model is the typical model that is already in Star sector, there is unified flux and hit points which is shared amongst all of the ship segments so when one ship segment is damaged in the next frame the damage is redistributed amongst all the other ship parts. The other damage model is the subcomponent model, in this case damage is isolated to that particular component, when that subcomponent is disabled it's position is no longer relative to the host ship and is free to float around..
With the current system I have a host ship with use both unified segments or subcomponent segments at the same time this means that you can have components that can be shot off as well the central hub which has a unified damage model. I am using the weapon slot ID as well is the weapon in the weapon slot as meta data for instancing the ship segments and a JSON file for their behavior. So to instance a station part called that has a variant called engineering_standard, you make a weapon with the same name and inserted in the hidden weapons slot that has a prefix of MULTI which is then used to identify which damage model that it uses. The position of the weapon slot is then used as the centre position for the ship segment relative to the host ship each frame. I haven't redone the multi-ship-Collision (collisions amongst multi-ships) for the newest code tree yet as I'm still working on the core code, but the core code is very nearly complete. +Vanilla Autofire AI will not fire 'inside' or over the top of another subship as it will see there are other parts in the way. You would need to use a custom AutoFire AI to get around this, this cannot be changed on the fly, but I have put in the request. + To be able to have weapons 'fire over the top' the projectile needs to be of a NO_FF collision class, I may leave it to the mod authors to implement a projectile swapping at certain distances back to FF or under certain conditions for their weapons depending on how they want their projectiles to behave. The point being you cannot currently rely upon Vanilla projectiles or Autofire. I have tried grabbing and replacing projectiles each frame, but it seems that projectiles can be spawned by a weapon and collide with an FF class in the same frame...so trying to change it after the fact is pointless right now. + Although in a preliminary sense I have observed enemy AI multiships retreating properly, the same cannot be said for a player multiship. I still need to set it so that a player multiship that is retreating is properly picked up. ++ UNI segment Ships will sometimes vent flux even when you are not. + Another rather unavoidable bug with UNI ships where health/flux is shared is that health is rebalanced only *after* damage is already done. So for a uniship ensure that health is significant enough so that any given alpha strike will not completely blow up your ship. Once any single UNI ship segment is destroyed, the rest are destroyed with it. + Another unavoidable situation is your multiship potentially being completely vaporised on destruction. Imagine what is effectively a ripple effect, one ship explodes, killing the one next to it which vaporises the one that damaged it...which disables another...which explodes...vaporising another etc. I cannot really change the damage of ship death explosions. There are probably a few other things...but yeah...nearly there. Though it's a bit tedious and prone to errors, it's bloody simple to implement TWIG! 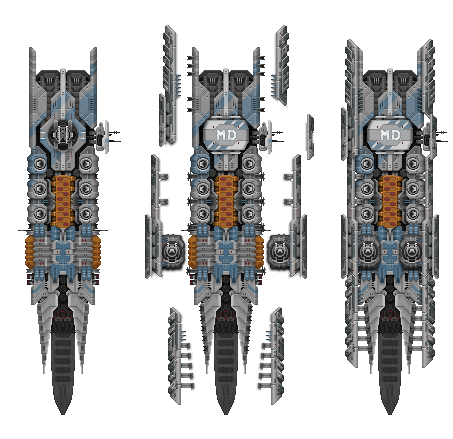 Beware of the overlapping weapons and subpart when designing a TWIG ship, there might be a solution later, but for now the weapons are under the child parts. Here is a download for a the 'library'. This release is not for general consumption or building of ships/stations quite yet as certain features or behaviours may change between now and the 1.0 release, however some ships and stations are being actively created and tested by myself and Tartiflette to flesh out the features as well as working with the various behaviours/bugs of vanilla. There have been quite a few changes to the code since the last release, it's almost been re-written again in the background while keeping the core features the same. The purpose for this is of course to make it more flexible and work within the contraints of SS. Put in checks to ensure people do not try to spawn ROOT or CHILDHOST, NORMAL etc. Re ordered more of the fields and members of classes. Changed method name from subNode and subHost to childNode and childHost and reshuffled order of methods. Modified the setNodeList in line with structural changes. 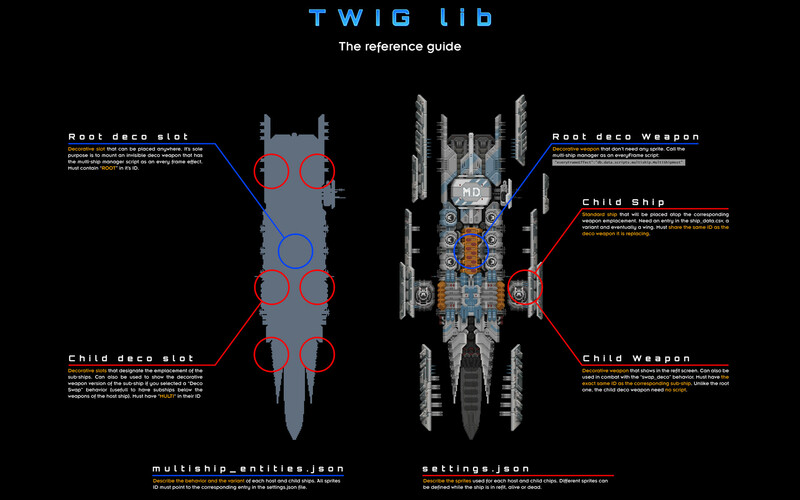 Now that Scy feature 4 TWIG powered ships, I figured I could make a small guide to show how simple is it to create a Multi-Ship. If you are to look for reference in the mod, don't use the Nemean Lion as a template: it uses it's own custom version of TwigLib. The cruisers on the other hand are a simple application of this library. Finally I can destroy my ship parts. 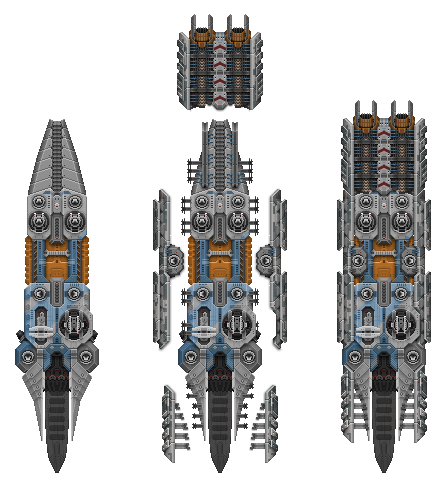 I create a small ship which can use external armor and turret? In the mutiship_entities.json, I wrote three rootNodes. They have same shipID and three different varID. I made this used for change external things in the refit window. And I don't know how to set will make it achieved.